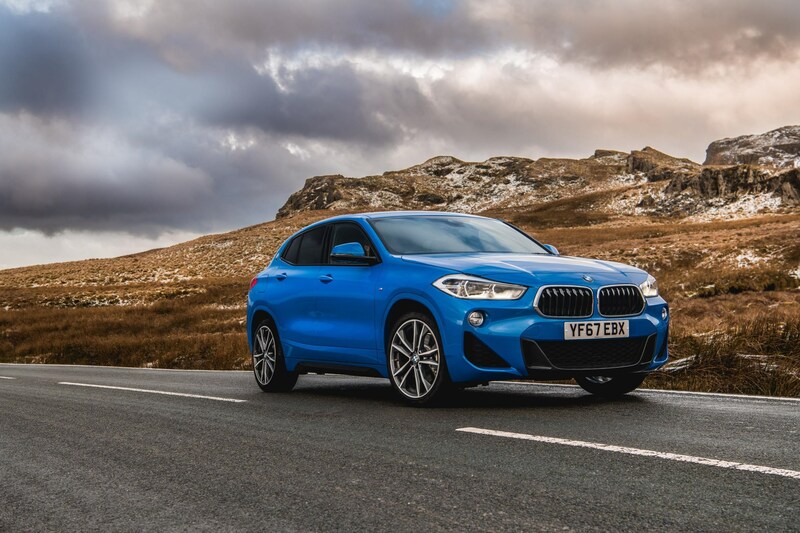 "The X2 will appeal to drivers who are caught up in the SUV craze, but serves as an example of why traditional SUVs are not always the best choice. Generally, they are slower, less dynamic and, crucially, less efficient than their car counterparts." BMW seems intent on filling every possible gap in its model line-up and it now has a full arsenal of SUVs, ranging from the X1 to the X6. The company says this new X2 model is aimed at a younger audience and, as such, is being pitched against premium small SUVs like the Volvo XC40 and Jaguar E-Pace. To call the X2 an SUV is a bit of a stretch. It’s more like big hatchback. Perhaps that why BMW refers to it as a ‘Sports Activity Coupé’. It certainly looks sporty in M Sport trim, with large alloy wheels, dual exhaust tailpipes and an aggressive body kit. 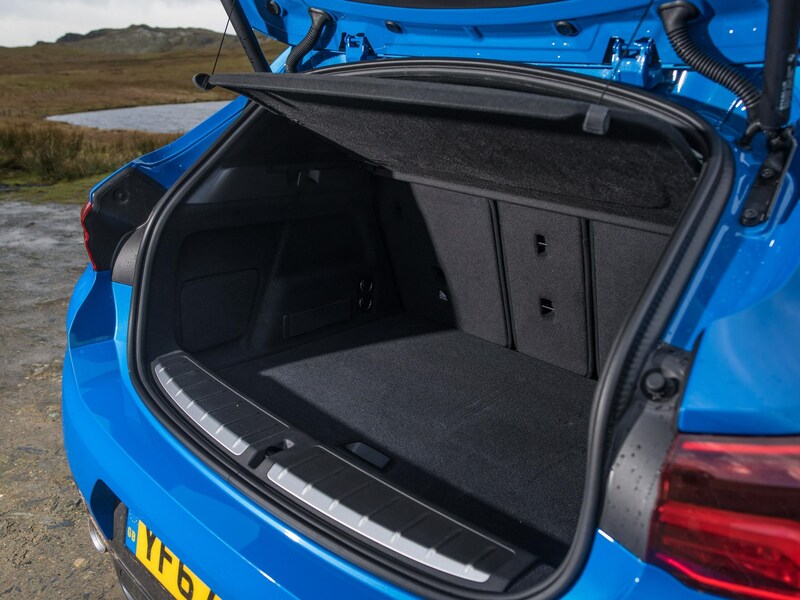 A 470-litre boot should satisfy the activity element too, but the coupé part is a bit more difficult to get your head around. 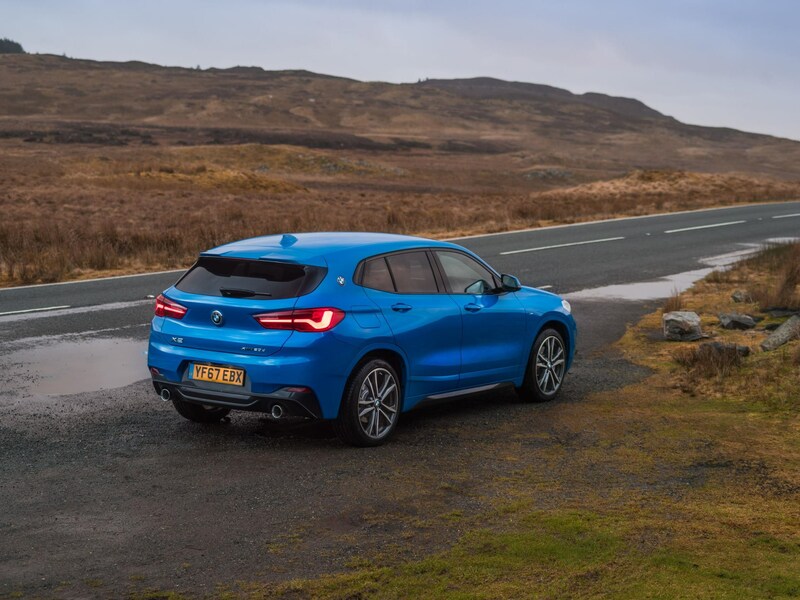 The X2 has the styling of an SUV – and the practicality – but the ride-height of a hatchback, so you don’t get the high-riding driving position which many buyers are keen on. This must be the coupé element. 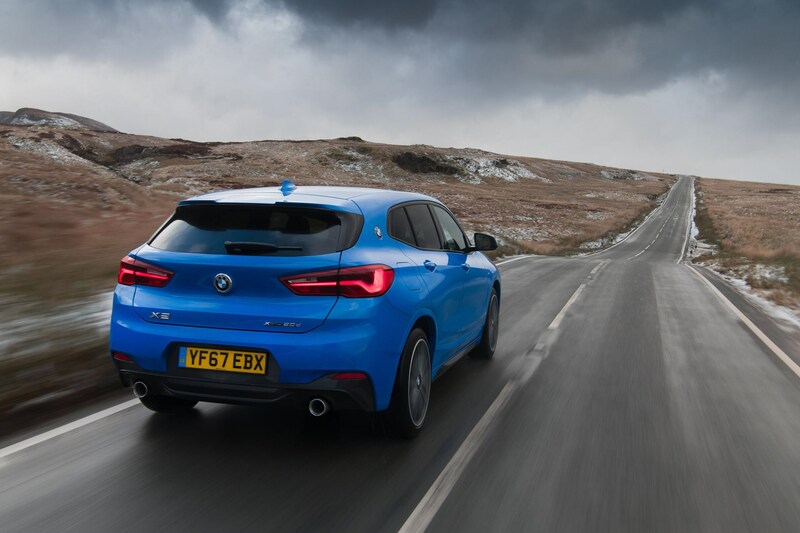 Underneath, it uses the same platform as the 2 Series Active Tourer and the X1, which isn’t the best start for a sportier vehicle, but BMW has stiffened it up and lowered the centre of gravity to improve driveability. The entry-level X2 is the most frugal and represents the best value for fleet drivers. It’s badged sDrive18d and costs £29,995. It uses a 2.0-litre diesel engine that develops 150PS, emits 119g/km of CO2 and has front-wheel drive. BMW expects the 190PS xDrive20d to be the most popular model, however. It costs from £34,985 and has four-wheel drive. CO2 emissions are rated at 124g/km. There is also a 2.0-litre 192PS petrol, which is only available with front-wheel-drive. Four trims are available: SE, Sport, M Sport and M Sport X. Base models look less enticing with small wheels and lots of plastic cladding on the exterior. All X2s come with Bluetooth, digital radio, sat-nav and rear parking sensors, so they should suit basic fleet requirements. The Sport adds LED headlamps and sports seats. 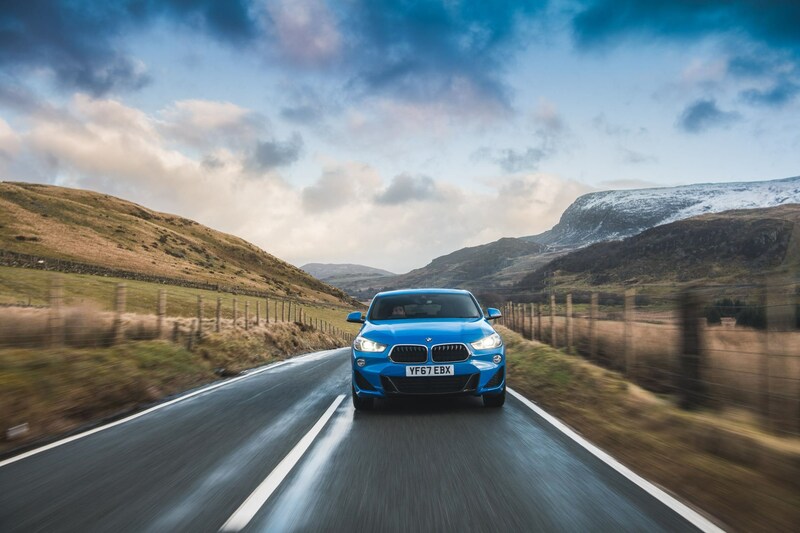 Most customers are expected to go for M Sport models as they have a much more desirable appearance with different bumpers, body-coloured trim, 19-inch alloy wheels and additional spoilers. 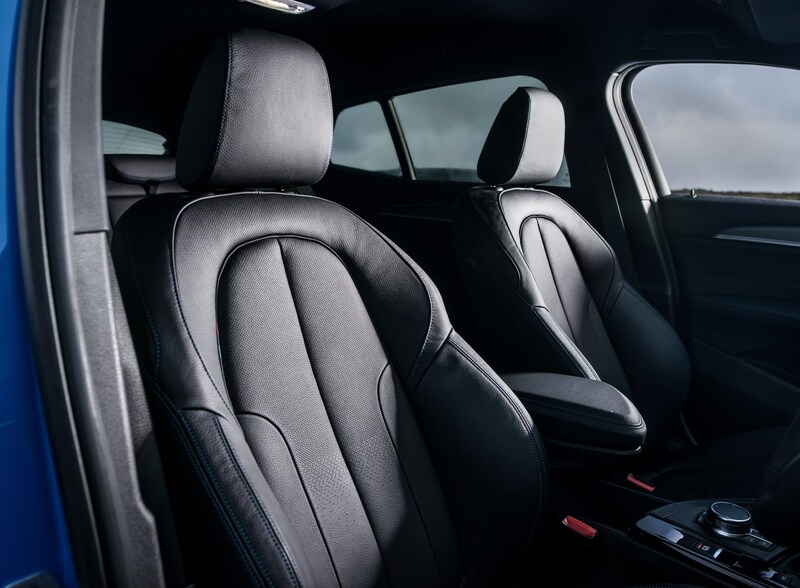 Only the range-topping M Sport X comes with leather upholstery as standard and prices for that start at £34,345 (sDrive18d). We were disappointed to find that driver assistance features such as adaptive cruise control, lane-keep assist and blind spot monitoring are only available as part of the £1,100 driving assistant package. These features are fitted as standard to cheaper rivals. Interior quality is high. The dashboard is lifted from the X1 and is simplistic in design but well made. 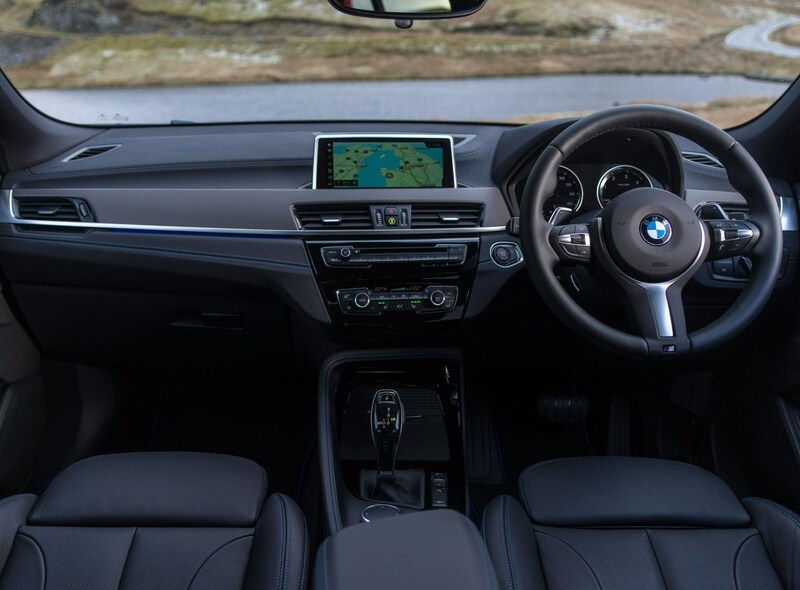 BMW’s iDrive infotainment system is fitted as standard and features excellent graphics and connectivity. The seats are hard and don’t feature adjustable lumbar support as standard, therefore drivers looking for comfort would be better placed in a Volvo XC40. We drove the xDrive20d in M Sport trim and behind the wheel it doesn’t take long to realise that the X2 is an extremely good car to drive. Acceleration from 0-62mph takes just 7.7 seconds and the eight-speed automatic gearbox is smooth and precise, allowing for seamless progress when needed. The car is very refined with little engine noise. Wind noise is well subdued, too, with only the tyres emitting a little more roar than we’d have liked. As a result of its non-SUV-like proportions and lower ride height there is little body roll and great handling. The M Sport suspension is very stiff though and the ride is firm. On rougher roads, it pushes the boundaries of what is an acceptable level of comfort and using Sport mode makes things even worse. We expect the SE model, with smaller wheels, will be more appropriate for Britain’s battered B-roads and only those with a steel spine should opt for the sportier variant. The X2 will appeal to drivers who are caught up in the SUV craze, but serves as an example of why traditional SUVs are not always the best choice. Generally, they are slower, less dynamic and, crucially, less efficient than their car counterparts. 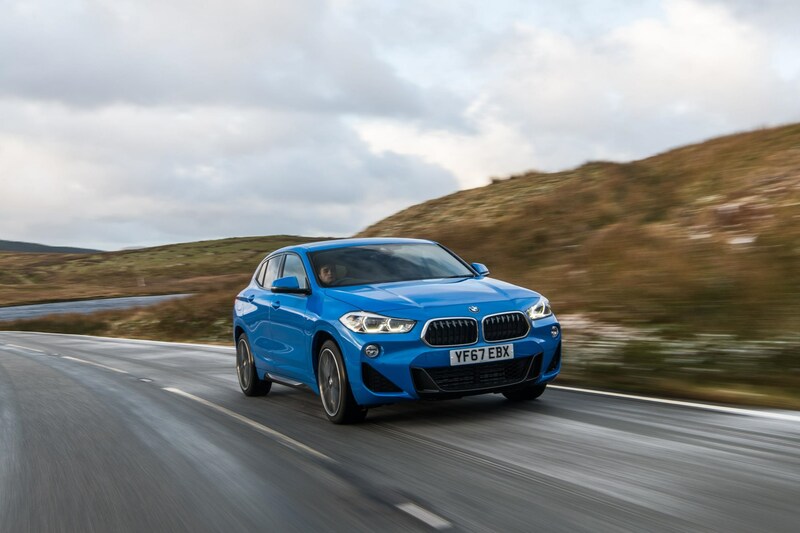 In the X2 you don’t suffer these disadvantages as it is more like a conventional hatchback. We were able to achieve 55mpg on a motorway run and regularly exceeded 46mpg during our week with the car. In other, similar, cars we’ve struggled to reach 40mpg. The X2 is an SUV in the most diluted sense. It offers all the benefits of a car with a sprinkle of SUV garnish, and it is all the better for it. Specifications shown for BMW X2 xDrive20d 190 M Sport Auto.